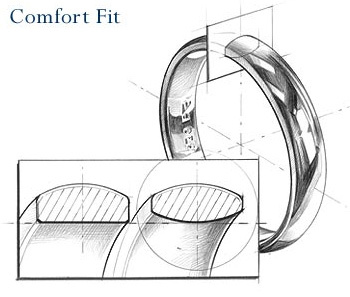 This 14K White Gold Handmade Wedding Ring is 7mm wide and the ring is comfort fitted so the ring feels more comfortable. 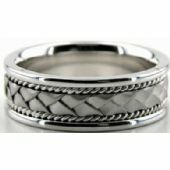 The center braid contains a satin finish. 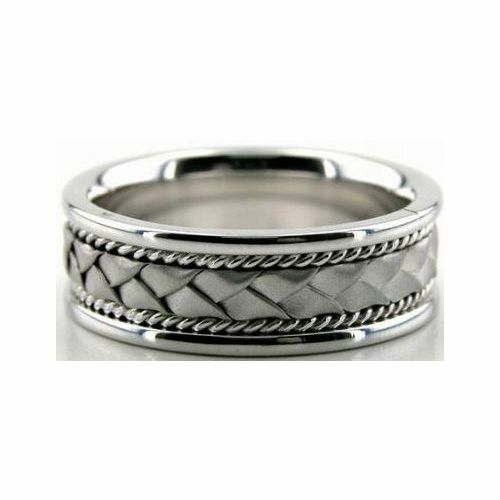 The edges, and roping of this handmade band are done in a high polish, expressing a contrast between the Shiny and Satin Finish.